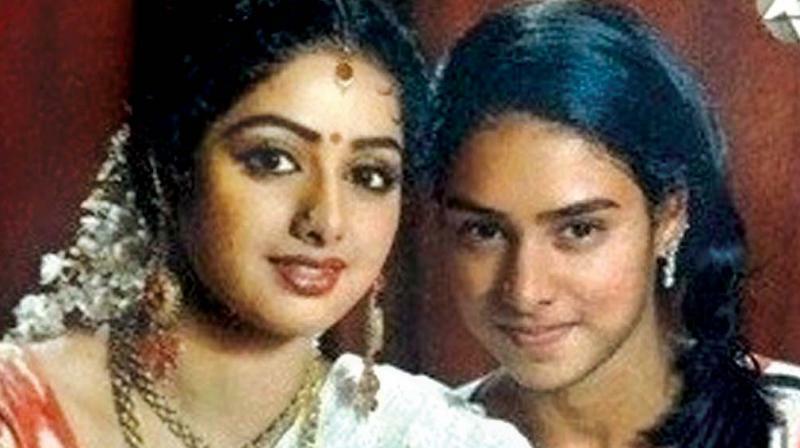 Sridevi’s Chennai home goes to her sister Srilatha? Sridevi’s sister Srilatha was hardly seen at the tearful final sendoff to the star on Feb. 28 after her death on Feb. 24. Srilatha has been asked to remain quiet and out of the picture. We don’t know why. We’ve also heard that Srilatha and her husband Satish will be given ownership of Sridevi’s bungalow in Chennai. —Source. While Sridevi’s husband and his family including his first family and his children from his first wife, have been disarmingly participative in sharing Boney Kapoor’s grief at Sridevi’s sudden death, Sridevi’s own immediate family has been ominously quiet. Not a word from Sridevi’s only sister Srilatha who apparently, was with Sridevi in Dubai in the days and hours preceding her mysterious death. Everyone in the film industry wants to know why she is missing from the entire process of Sridevi’s final send-off. A source close to the Kapoors reveals, “Srilatha has been asked to remain quiet and out of the picture. We don’t know why. We’ve also heard that Srilatha and her husband Satish will be given ownership of Sridevi’s bungalow in Chennai. The ties between Sridevi and her family were said to have been not a bed of roses even during her early career in films. Some of the property bought from her earnings were said to have been registered in her parents’ names for tax purposes and, naturally enough, there were claimants like her sister to a share in such properties. After moving on to Bollywood, Sridevi may have lost touch with what was happening back in Chennai, although she may have been a regular visitor. It may be logical that her Chennai house goes to her kin and yet it would be generous of the Kapoor family to let this happen rather than get into litigation over it after Sridevi’s sad demise. Meanwhile, the Indian Film Festival of Los Angeles (IFFLA), being held in April, will have a memorial tribute screening of Chandni, a prominent film from Sridevi’s glorious career. The gala will screen the 1989 hit Chandni, courtesy of Yash Raj Films. Her ashes were immersed in the Ganges in Haridwar.